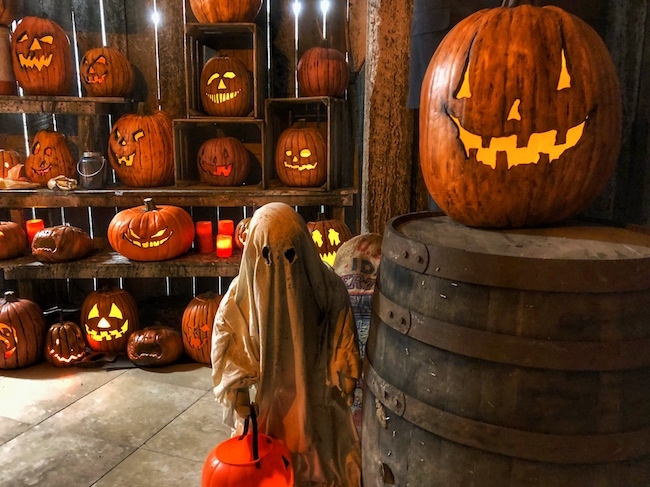 Take on the starring role of the victim at Gravensteen Haunted Production’s Legends of Halloween Haunted House, and see if you can make it out of the movies alive! 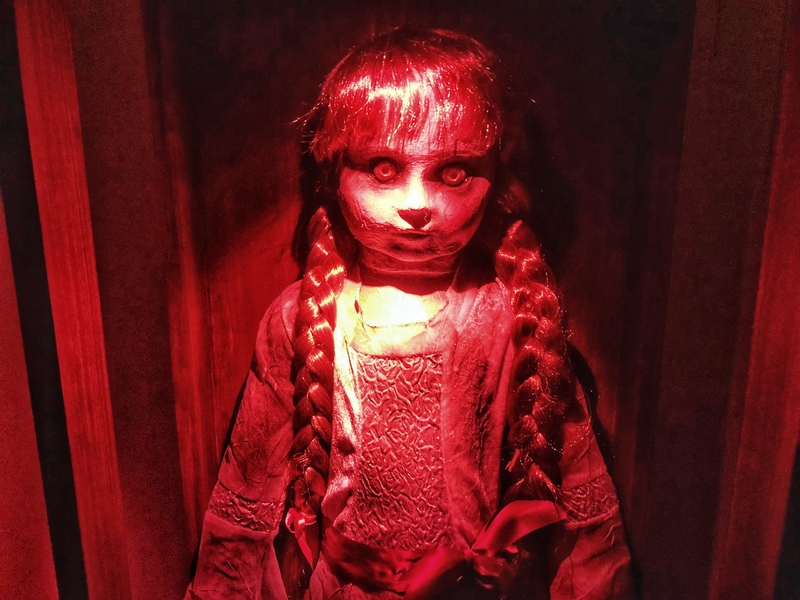 From The Nun to Annabelle, the cinematic world of horror is chock-full of some creepy creatures, tortured souls, and merciless slashers. We’ve all enjoyed each of these demented characters on the big screen, but now it’s time to bring them out of our nightmares and straight into reality. 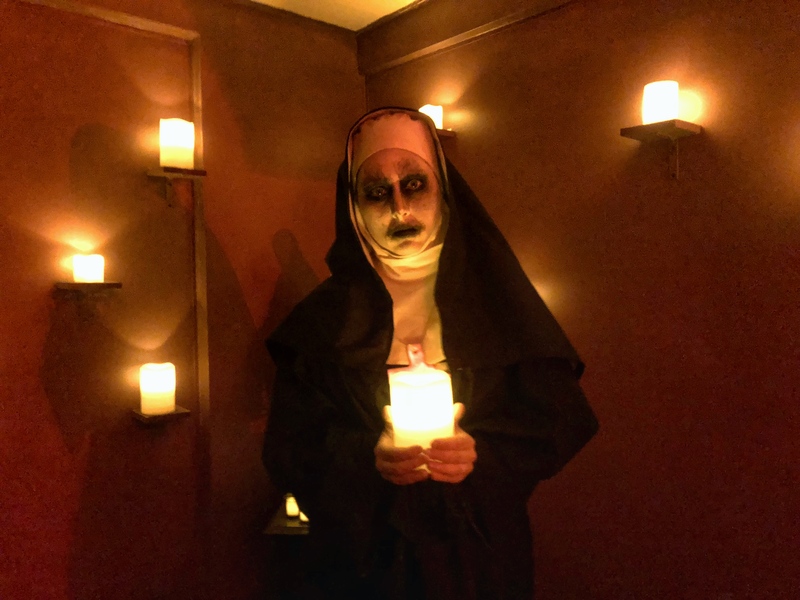 The next stop on my tour of haunted houses (find Stop #1, Stop #2, and Stop #3 here) took me to Gravensteen Haunted Production’s Legends of Halloween, where horrifying haunts jump out from the movies and dive headfirst into your life. When we arrived at the house of horrors, we met Jon Libbesmeier, the owner of Gravensteen Haunted Productions and master of haunts, who gave us a behind-the-scenes tour of the gruesome ghouls and terrifying tormenters that lurk around every corner of the building. On the tour, we saw the movies come to life on a twisted journey through darkness and despair. The attention to detail that Gravensteen puts into their production is truly impeccable. Every scene in the haunted house is expertly crafted by some truly demented minds, and every prop is ingeniously placed to create a horrific story. Each room also has a chilling soundtrack that members of the production team created themselves, and some areas even have dreadful smells that match the visuals of the scene (something that will definitely last in the darkest corners of my mind until the end of time). Although you probably won’t notice these little movie references or hints while you’re running through the house with your eyes closed, the set team clearly took a lot of time to create a world of horrors that you couldn’t even imagine in your vilest nightmares. Each haunting room places you right into the middle of a horror film, where you’re the starring victim. You’ll have to put the lotion on the skin in Silence of the Lambs, survive 12 hours of legal crime in The Purge, endure Sparky’s sinister smile in American Horror Story, and pray for forgiveness in The Nun. After the tour, we got to enter the terrifying haunts on our own, while the actors waited to take us deep into their realm of torture. Even though I had already done the behind-the-scenes tour and knew exactly where the ghostly ghouls would jump out and scare me, I still screamed every single time. All of the characters are truly terrifying, and sometimes you forget they’re simply actors in a haunted house! One of the best things about Legends of Halloween is that everyone there truly enjoys what they do. The core team is comprised of Libbesmeier (owner and jack of all trades), Garland Travis (director of actors and make-up, set designer), Ryan McGrath (head graphic artist, set designer), and Stephen Neuwar (operations and set builder). However, everyone else on the staff is a volunteer. They have day jobs and come in every haunting night just to scare the pants off scaredy-cats like you and me. This is what makes Gravensteen Productions truly amazing. The people there are dedicated to horror and will do anything to make you scream. 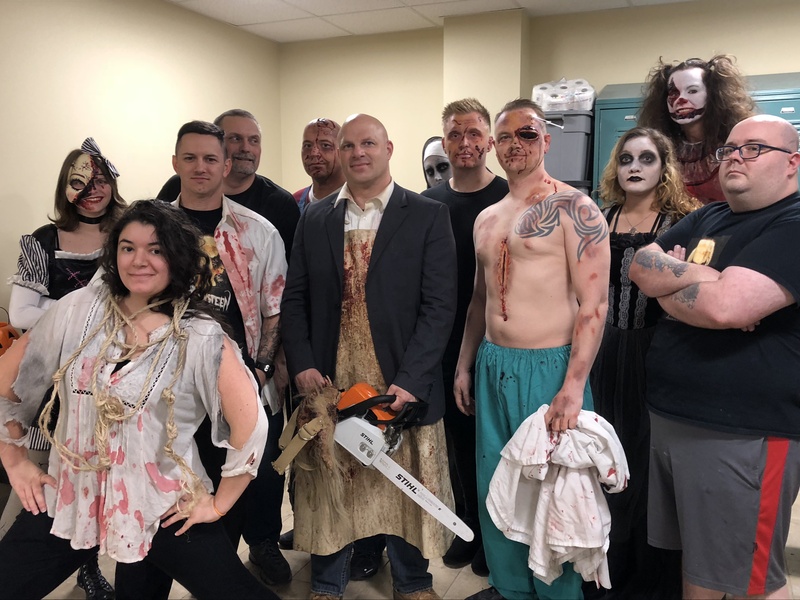 So, if you’re a horror fanatic that loves slashers and gory Halloween films, then head to Legends of Halloween at Fort Belvoir. 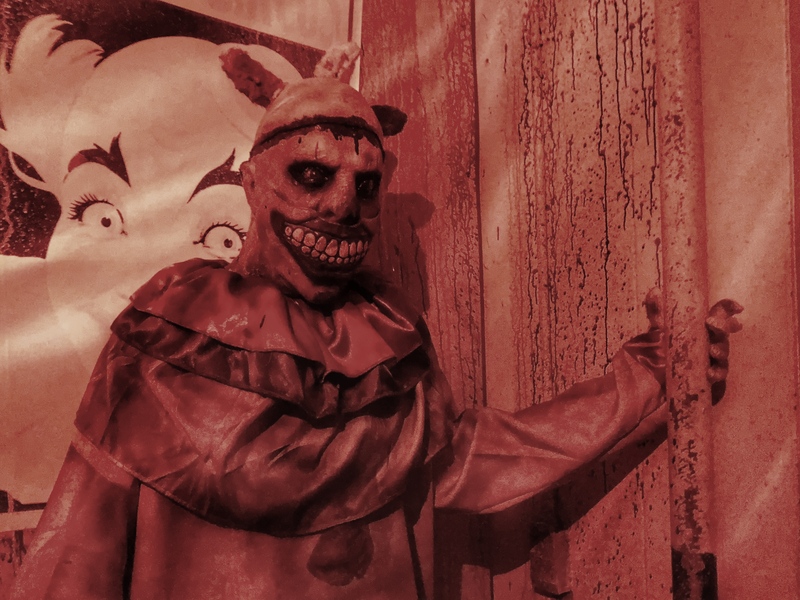 With tickets at $15 a piece (with 30 percent going towards the U.S. Army’s Family and Morale, Welfare, and Reaction programs) there’s simply no other place where you’ll get a maximum number of screams and terrors for that low of a price. Let us know if you’re diving into your favorite slasher film at Legends of Halloween, and don’t forget to smile for the camera! Check out the other DMV Haunted House Stops on Jessica's tour: Stop #1, Stop #2, and Stop #3.